Araks is the largest river of the Armenian uplands and one of the largest in Transcaucasia. The upper current is on the border of Armenia and Turkey, the estuary is on the territory of Azerbaijan, the river is the border between Iran and Russia. Araks originates in the mountains of Byurakan, Armenia, at an altitude of 3300 m, the total length of the river is 995 km. For the first time the river was mentioned in ancient Greece by geographer Hecataeus of Miletus before our era. In ancient writings the river was called Araks, Aras, Araz and Aros, the Armenians called the river Eraskh. The rapid flow of the river during the spring months floods the banks, washing away the crops and destroying bridges. 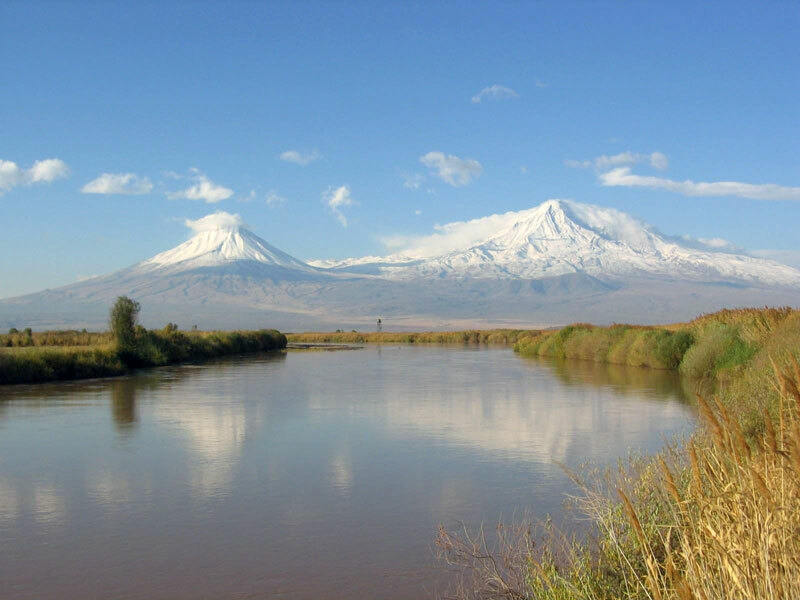 However, the river is the source of irrigation of the Ararat valley, turning the valley into fertile lands.